Considering the gazillion transformation photos flooding our Instagram feeds each day, we have to admit it's rare that they ever actually inspire us to put down that slice of pizza and put the gym membership to good use. 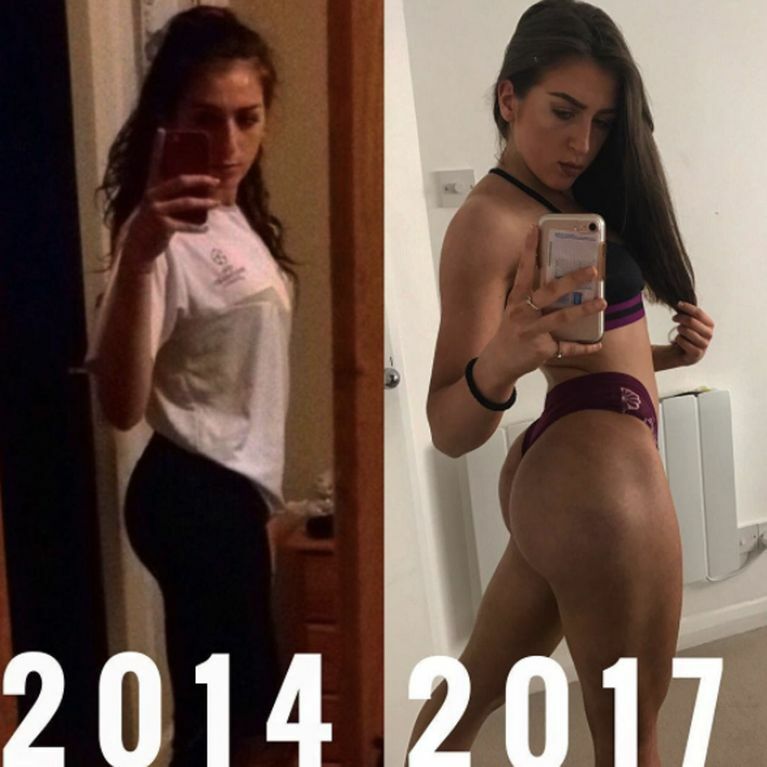 That was until we discovered this student's account who's gained two stone but still giving your usual transformation posts some serious competition. SO refreshing. The slew of transformation photos we're so used to seeing each day on our social feeds are often merely carefully styled images of 'success stories', with the dieter in question posing to perfection to show off their decrease in lbs. But how many of these actually empower and inspire you to be the best version of yourself? How many of them admit to putting on weight rather than actually losing it? BCS student Amie Wiley is switching things up by sharing transformation posts of her own, but with a stark difference - she's actually gained over two stone. After admitting to previously coveting the super skinny aesthetic with 'matchstick legs' achieved by 'overdoing it on the cardio and eating very little' she has since quit the dieting and transformed her body to become stronger and much healthier - and gain over two stone in the process. Explaining how she's gone 'from skinny to strong' Amie couldn't be more confident with her body. She admits the transformation has taken four years to become 'a stronger Amie with much more muscle, who lifts weights and that eats much more food!' and it's refreshing AF to see such a fitness account filtering out the ahem, unwanted ab spam and showing carbs some love for once. Talking about the photo on the left, Amie explained, 'this picture was taken back in 2014, when I was still doing cardio but I had just started to do some strength training and body weight exercises e.g. Core exercises and body weighted squats. I was still extremely skinny and my legs are to show for that. Documenting her journey so frankly on her account with such posts has won her an abundance of likes and positive comments from followers in support of her honesty and empowering message. We think this kind of frank, open attitude to the images we see on Instagram and most importantly, transforming your body in a healthy way is refreshing and Amie looks unreal as a result. A two stone weight gain certainly doesn't have to mean the end of the world if you're happy - and Amie is proof of that. Get it girl!